Kérastase Paris introduces Nutritive Magistral – a haircare collection designed to help transform dry, sensitized hair. No matter the season, hair is subject to damage on a constant basis, and having a hair range that can repair and recondition is essential. Dry, damaged hair is not pretty to look at. Of course, regular trims will help, but the assault of heat tools (dryers, flatirons, etc.) and the elements (sun, lack of humidity in winter) can severely dry out hair. It’s important to have hair products that can bring hair back to it’s most healthy and beautiful state. The Kérastase Nutritive Magistral Collection is a four-product range, comprised of Kérastase’s Nutritive Irisome Complex – a powerful nutrition complex that nourishes and creates a shield on the hair surface to provide 72 hours of dryness immunity protection. I’ve been using the Nutritive Magistral Collection and even though my hair isn’t seriously damaged, I’ve noticed a big difference in how my hair looks and feels. Nutritive Bain Magistral Shampoo ($41) gently removes impurities and prepares the hair for treatment. Can be used daily. Nutritive Fondant Magistral Conditioner ($43) provides deep nourishment, high manageability and extremely supple texture. Can be used daily. Nutritive Masque Magistral Masque ($63) is a deep conditioning masque designed for thick, severely dry hair. Masque Magistral intensely nourishes the hair fiber and protects it from drying out. I honestly always have a Kérastase deep conditioning masque in my shower–and whenever my hair starts to feel dry and damaged, I reach for one. If you have really dry hair, this is an excellent choice. Nutritive Crème Magistral ($43) is a lightweight, leave-in conditioning treatment for severely dry hair. It provides heat protection, has a shine booster, a smoothing agent and softener, making it a nice finishing treatment. It didn’t weigh down my hair at all–love! 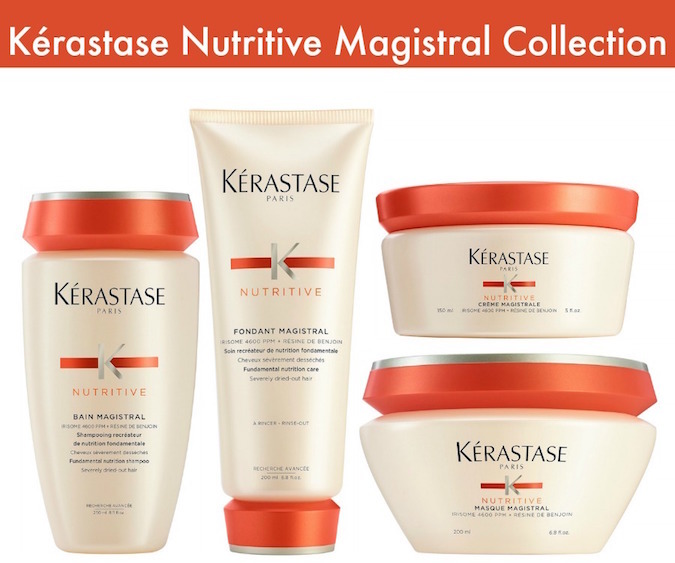 The Kérastase Nutritive Magistral Collection is available at Kerastase-USA.com and Kérastase Salons. If you have severely dry, damaged hair, this is definitely a range that I would recommend! How to get fab summer hair! 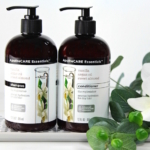 Extra Care for Winter Hair! 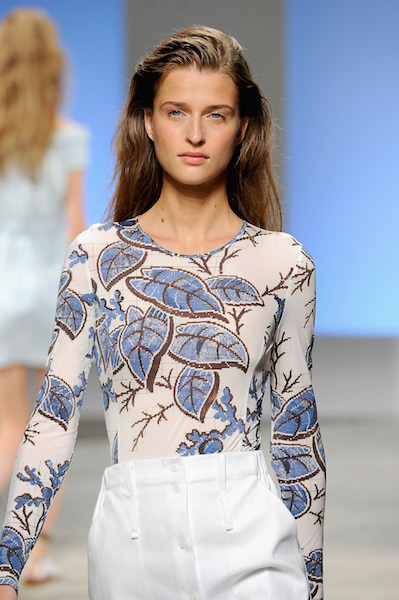 Ultimate Cool Girl Hair: Loose Wave Braids! Party Hair: Glam Holiday Updo! New Bumble and bumble hair care! Do you need a Scalp Treatment? Best Summer Hair Protection & Styling Products! Jumpstart Spring with a Hair Refresh!